Teaching English as a Foreign Language (TEFL) usually describes English being taught to non-native English students in their home countries. TEFL is an international educational industry whereby English teachers from the seven recognised native English speaking countries (USA, Canada, UK, Ireland, New Zealand, Australia & South Africa) and fluent non-native English speakers teach English in private and public schools throughout the world. The TEFL industry is now considered to be a big business. It is estimated to be worth in excess of £6 billion per year, and growing. Across the world demand for native English-speaking teachers is increasing and the possibilities for qualified TEFL teachers, with a mind to travel, are endless. A quality accredited TEFL course offers a gateway to a flexible, challenging and rewarding area of work across the world, including the opportunity to travel and experience different cultures, increased self-confidence and the ability to deal with responsibilities, and of course a greater appreciation of the quality and worth of your native tongue! It is not necessary to have knowledge of any other language (although a bonus) as all TEFL teaching is done through the medium of English. While having a TEFL qualification is not always an essential requirement, increasingly countries and schools are now requiring teachers to have undertaken at least a basic TEFL certificate. Another reason to gain a recognised and accredited course is that there may be anything up to 200 applications per TEFL job and many institutions (such as British Council accredited schools) can only employ teachers who have the required level of certification in TEFL, usually the Cambridge CELTA qualification or an equivalent 120 hour accredited course.  At Foyle International we offer two types of initial training course. The first is an introductory course called the International Certificate in TEFL which gives you the chance to ‘dip a toe’ into the world of English language teaching and to see if it for you. The course is not internationally accredited, but is still suitable for teaching in certain places such as China or other Asian countries where demand for native teachers outstrips supply. The second main course we offer is the Cambridge CELTA qualification. This is the internationally recognised benchmark for anyone who wants to pursue a career as a TEFL teacher, and will enable you to teach anywhere around the world, including the UK or Ireland. 1. What is the difference between TEFL, TESOL, EFL, ESL, ESOL, EAL? All the acronyms can be very confusing – don’t let them put you off! If you live in a country where English is not an official or national language, you study English as a Foreign Language (EFL) and if you are involved in teaching EFL you work in TEFL. What about the fact that English is perceived as an international language? English hardly feels ‘foreign’ to many learners any more, and so we can call English a ‘second’ rather than a ‘foreign’ language. Thus, we get ESL. People who have come from other countries to live in an English-speaking country need English as a Second Language. In colleges of further and higher education, the term English for Speakers of Other Languages (ESOL) is preferred. In mainstream primary and post-primary schools, English as an Additional language (EAL) is the preferred term. Some think the plethora of terms is a case of political correctness gone mad, but all the variations reflect the widespread and complex role of the English language around the world. 2. What is the difference between CELTA and other TEFL courses? CELTA is a course run and assessed by the University of Cambridge. This is probably the best known certificate level qualification available. Also well-known is the Trinity Cert-TESOL, and in Ireland the ACELS CELT. All of these confer the eligibility to teach at official language schools in the UK, Ireland and beyond. They all meet British Council and ACELS criteria in terms of input hours, validation, teaching practice, lesson observations and quality assurance. CELTA is the most commonly taken accredited TEFL course in the world, and also has the advantage of being the best known internationally. The name ‘University of Cambridge’ confers a certain prestige and badge of quality. 3. Will a weekend/one-week course give me a teaching qualification? Not one recognized in UK or Ireland. Accrediting bodies here require courses to include at least 100 input hours, plus teaching practice and observations. However for places such as China, Thailand, Vietnam and other parts of Asia an introductory TEFL course such as our own in-house International Certificate in TEFL is all that is required. 4. Will an unaccredited course give me a teaching qualification? 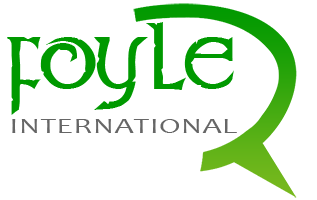 In the UK and Ireland, qualifications are verified by the National Qualifications Framework and the National Qualifications Authority of Ireland respectively. To teach in Britain and Ireland, your course must be accredited by a university, examination board or another reputable authority. Therefore, you should make sure that the course you choose will in fact qualify you to teach and fulfils the criteria required by the British Council, ACELS or the regulatory body in your destination country. 5. Is CELTA as intensive as everyone says? Yes! It is a demanding course. It is very difficult to take CELTA full-time and balance a job and other commitments. There is a lot to learn, and as teaching practice and assignments are required during the course (not just at the end) you have to keep up with the workload for the duration. The pre-course assignments are an important preparation to help you experience a slightly less steep learning curve. If you are worried about the intensive nature of the course, feel free to contact us for an advisory chat, or consider our foundation course as a first step. 6. How do I apply for the CELTA course? You can request an application pack from us. This can be sent electronically, or if you prefer, by post. Some sections can be filled in quite easily, such as personal details. The second part of the application pack consists of pre-application assignments. You will need to take more time over this part of your application. Use online resources and your local or college library to help you. Applications are rolling. However, if you want to apply for a particular start date, you should apply as soon as possible as we keep class sizes small in order to keep a good tutor: trainee ratio. In any case, you should apply at least three weeks before your preferred course starts. 8. Why do TEFL courses vary so much in price? Obviously, online courses and weekend courses held in conference centres are much more cost effective than an intensive course in a language school with several qualified tutors and a small group of trainees. Perhaps rather than looking for the cheapest course, you might think in terms of value for money. Our International Certificate is delivered in a real language school, with real international students and classes. You get to observe live English classes and hear from qualified and experienced tutors. In addition you will have the opportunity to actually teach students, which is invaluable when it comes to having to get up and teach for the first time in the real world. The CELTA course is externally assessed and validated by the University of Cambridge ESOL. We provide all the materials you need for the course. Furthermore, this is a professional qualification which should be seen as an investment and a step towards a rewarding career. 9. Do I need to speak another language? No, although you will find it useful to draw on your knowledge and experience if you do. We train you to teach English through English, even at beginner level. More important than knowledge of another language is the ability to be creative and explain things simply, clearly and effectively. 10. I am already an experienced teacher. Should I take a TEFL course? It depends on what you plan to do. If you want to teach English to speakers of other languages, then a TEFL qualification is a must. There are a few exceptions. 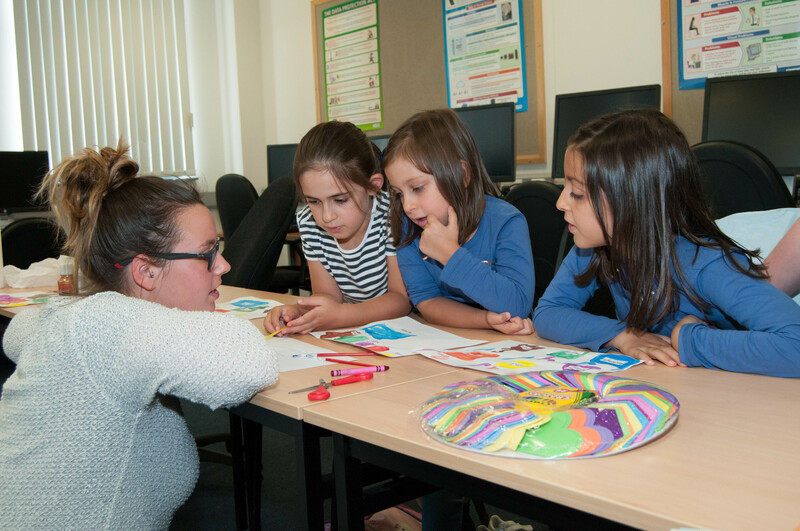 The British Council accepts a PGCE in Modern Languages as the equivalent of CELTA, provided that you teach the age group you are qualified to teach in mainstream schools. If your plan is to continue in mainstream education in an English speaking country, then our Teaching EAL course might be more suitable. 11. Is CELTA suitable for mature students? Yes, the course is suitable for students of all ages 20+. More mature learners bring a wealth of life experience to the course and most schools like to have a mixed team of teachers in terms of age and experience. 12. Do I need a degree? Not to take the CELTA course. You should be educated to A-level standard or the equivalent, i.e. your qualifications should be sufficient to get you onto an undergraduate degree course. However, to teach in the Republic of Ireland and many other countries, you need a degree (in any subject, not necessarily related to education, English or modern languages). 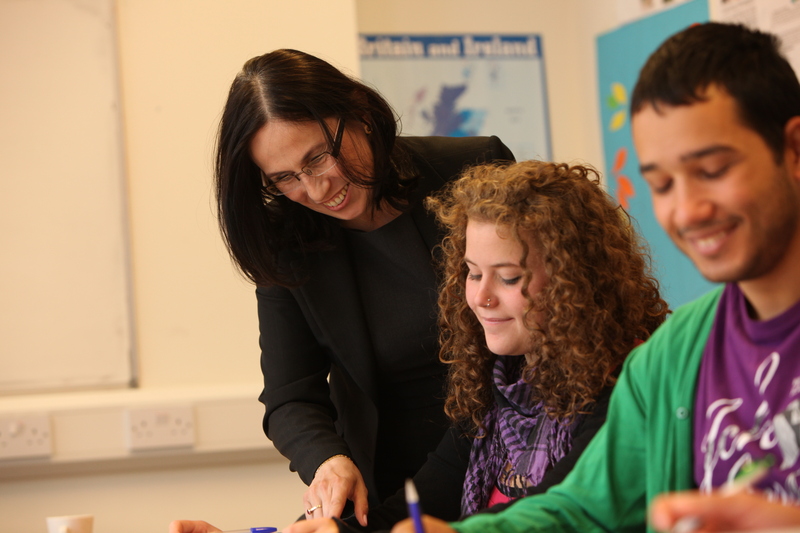 To teach in UK language schools, a degree makes it much more likely that you will find a job. If you don’t have a degree and would like an advisory chat about taking the course and your options afterwards, please contact us. 13. Can I teach children and teenagers with CELTA? The ‘A’ in CELTA stands for Adults. However, in practice, schools accept CELTA as a teaching qualification for learners of all ages. There used to be a separate course like CELTA but specifically to teach young learners. Today, however, you can take a short add-on course after completing CELTA. Few teachers of children and teenagers actually have a specific course for their chosen age group. 14. How good should my English be to take CELTA? Your English must be good enough that you can realistically teach a wide range of language levels, from A1/Beginners to B2/Upper Intermediate. A rule of thumb is that your English must be a level above the highest level you can teach. If your level of English is an issue, please contact us for more advice. 15. Do I have to take all the units and attend every class? You must complete all five course units in order to pass the course. This applies also to TEFL teachers with prior experience, who have previously studied a foundation course, and to mainstream teachers with QTS. Cambridge ESOL do not grant exemptions. 16. How likely am I to get a job after completing the course? This really depends on how flexible you can be. Locally, you have a fair chance of getting work as a substitute teacher and/or evening or weekend classes to begin with. Every summer there is an influx of students and seasonal staff is required. If you are prepared to look elsewhere in Ireland and the UK, your chances increase significantly. If you are happy to work abroad, you could have a job within a week! 17. What is the best way to find a job? In some countries, the best way is to look for a job ‘on spec’ just by turning up with a CV. TEFL jobs are advertised in the press, in professional publications and online. As part of your course, we will give you advice on where to find a job. In addition, we are frequently approached by partnering schools and colleges across the world with job opportunities and placement offers so by signing up to our TEFL newsletters we can keep you informed of these opportunities and positions. In addition we list a selection of opportunities on our Jobs Board.